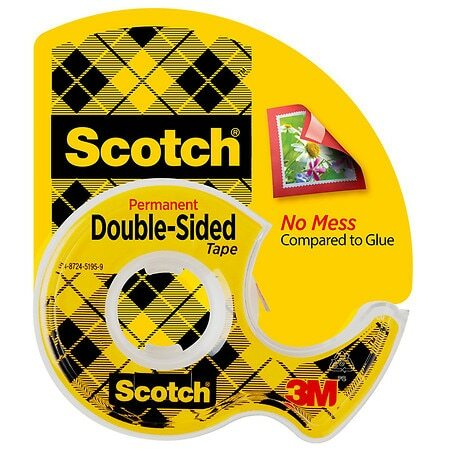 3M Scotch Double Sided Tape Permanent450.0 in. This tape is coated with photo safe*, permanent adhesive on both side. A no-mess alternative to glue for light-duty attaching and mounting tasks. *Safe for color photos. Photo-safe determined in accordance with ISO standard 18916. Conforms to ASTM D-4236.